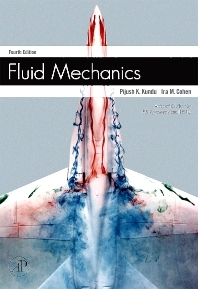 Fluid Mechanics, Fourth Edition, is a basic yet comprehensive introductory text on the fundamentals of fluid mechanics and applications in engineering and science. It guides students from the fundamentals to the analysis and application of fluid mechanics, including compressible flow and such diverse applications as hydraulics and aerodynamics. This new edition contains updates to several chapters and sections, including Boundary Layers, Turbulence, Geophysical Fluid Dynamics, Thermodynamics and Compressibility. It includes a new chapter on Biofluid Mechanics by Professor Portonovo Ayyaswamy, the Asa Whitney Professor of Dynamical Engineering at the University of Pennsylvania. It provides additional worked-out examples and end-of-chapter problems. The book is recommended for senior undergraduate/graduate students in mechanical, civil, aerospace, chemical and biomedical engineering; physics, chemistry, meteorology, geophysics, and applied mathematics. Updates to several chapters and sections, including Boundary Layers, Turbulence, Geophysical Fluid Dynamics, Thermodynamics and Compressibility. Fully revised and updated chapter on Computational Fluid Dynamics. New chapter on Biofluid Mechanics by Professor Portonovo Ayyaswamy, the Asa Whitney Professor of Dynamical Engineering at the University of Pennsylvania. New Visual Resources appendix provides a list of fluid mechanics films available for viewing online. Additional worked-out examples and end-of-chapter problems.